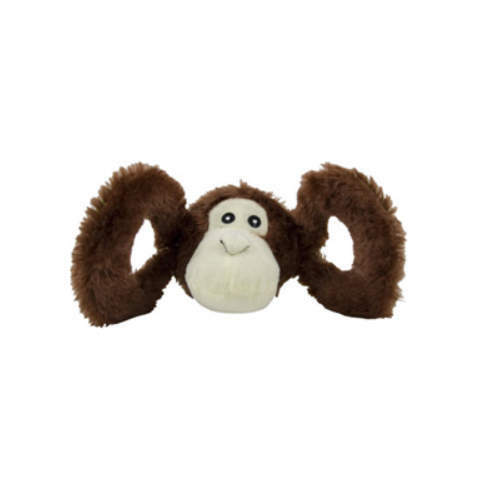 The Jolly Tug-A-Mals Monkey is a fun toy for dogs that squeaks when both handles are tugged. It is perfect for strengthening bonds between pets and owners both through multi-dog use or interactive play between the dog and owner. The durable toy features plush material on the front and Oxford canvas material on the back.